Ann Williams jumped out the window of a Washington, D.C., slave jail in 1815. Some thought she attempted suicide because she’d been sold away from her family. A new perspective on her wrenching story – and the problem of American slavery – is being shared with audiences through “Anna,” an animated short film produced by Nebraska’s Michael Burton, Kwakiutl Dreher and William Thomas. The 11-minute film won the Best Animation award at the 2018 New Media Film Festival in Los Angeles and has been shown at other film festivals nationwide, including Atlanta’s BronzeLens Film Festival, an Oscar-qualifying event. “It shows us the human story of enslavement and how people built families and protected those families as best they could,” said historian Thomas, John and Catherine Angle Professor in the Humanities. His research helped uncover Williams’ survival and her later, successful petition for freedom. Audiences have said they found the film haunting and emotional, unexpected qualities in animation, Thomas said. The film’s distinctive style was inspired by a famous early 19th-century etching of Anna’s leap and honors the historic time period, said Burton, the film’s director and assistant professor of practice in textiles, merchandising and fashion design. Burton’s team developed an innovative method of rotoscoped animation. Actors were filmed in costume. Student animators traced over each frame of footage with paint and overlaid the characters onto a painted background. Animation allowed the producers to achieve difficult effects, such as expansive, historically detailed settings. Dreher’s screenplay reached beyond typical portrayals of slaves to imagine Anna’s emotional complexity and devotion to family. “I create for Anna a legacy that moves beyond our popular notions about slavery,” said Dreher, associate professor of English and ethnic studies. She gave Anna a background and story that allow for a more nuanced vision of the enslaved. 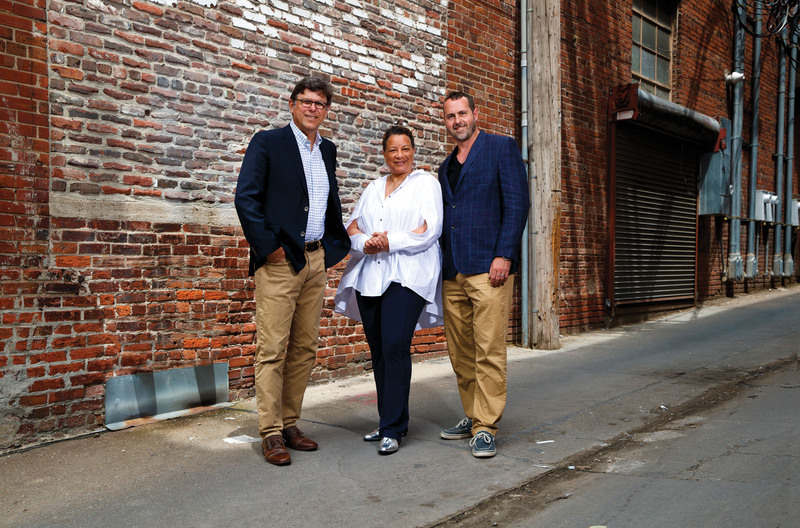 Building on the film’s success, Burton, Dreher and Thomas are forming a production company to develop a series of animated films set in early Washington, D.C., that explore the moral problem of slavery. They hope the series leads to developing an animation industry in Nebraska.